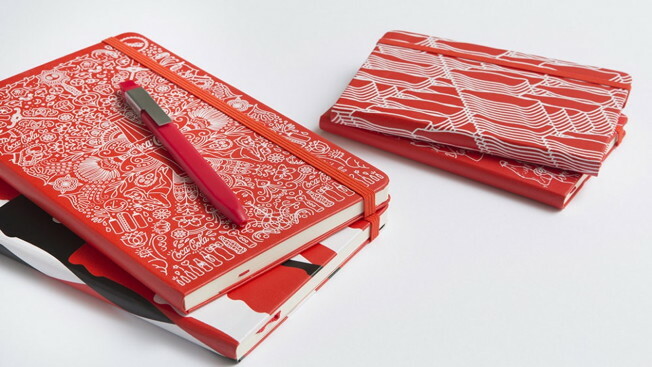 Need one with its own straw? You're in luck! 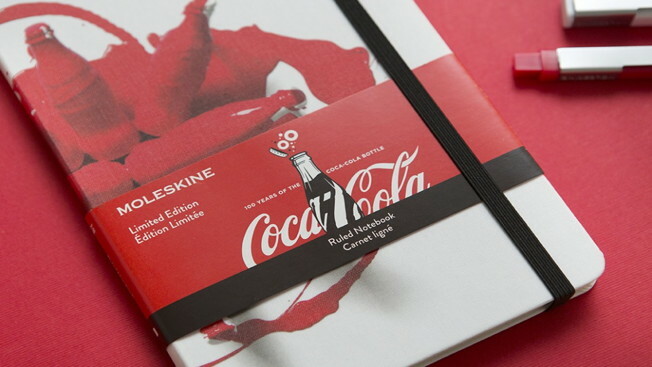 Moleskine, the makers of those sleek black journals that every aspiring poet in America seems to own, is doing its part to revel in Coca-Cola's centennial glory with limited-edition notebooks created as part of the soda giant's "Mash-Up" project. 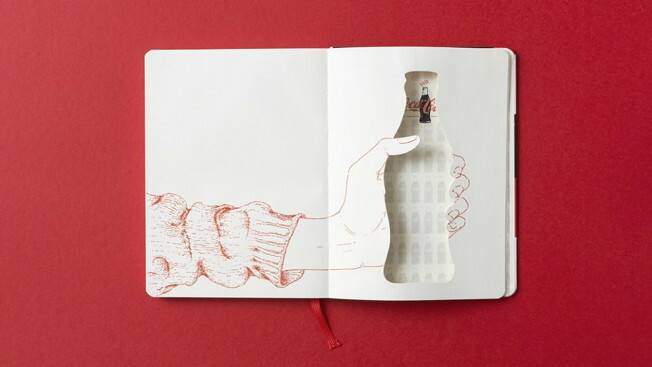 A talented roster of visual artists designed the covers to reflect Coke's unique bottle design. 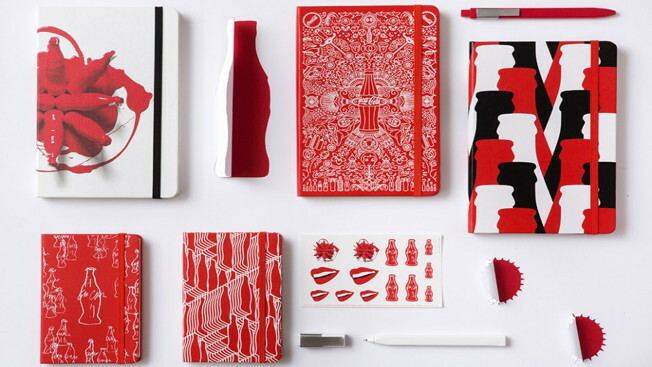 And the work is pretty clever: Tom Farrell's "Sipping" notebook has an elastic band that doubles as a drinking straw, and David Schwen's design—only 5,000 were made—was inspired by photos of paint dripping from actual Coke bottles. 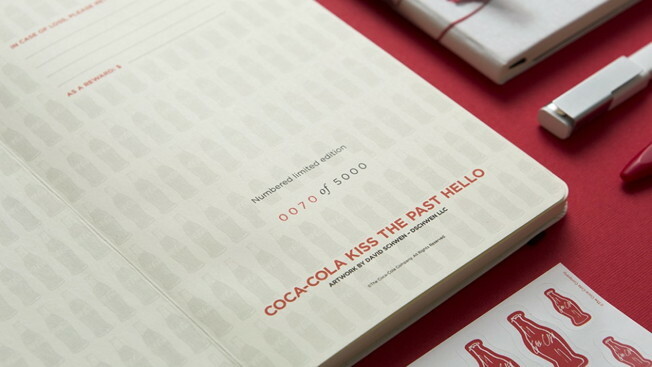 It begs asking, how many celebrations of Coca-Cola's bottle design are there going to be? Sure, a 100th anniversary is a big deal, but it feels like the world finds a reason to fête the iconic beverage every six months. Maybe Nike will do contoured running shoes next.